My dream crib by Stokke. Month number two at crappy retail job should set us up with the high chair. Convertible High Chair by Stokke. Do you see a theme running here? It will probably take months number three and four to afford this baby, so I am still working on an alternative. It's so cute with it's Red Cross attitude. 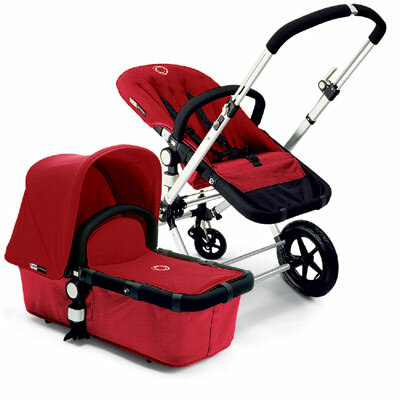 Stroller by Bugaboo. After all of this, I will probably immediately start freaking out about college. Third job I'm looking for you now!